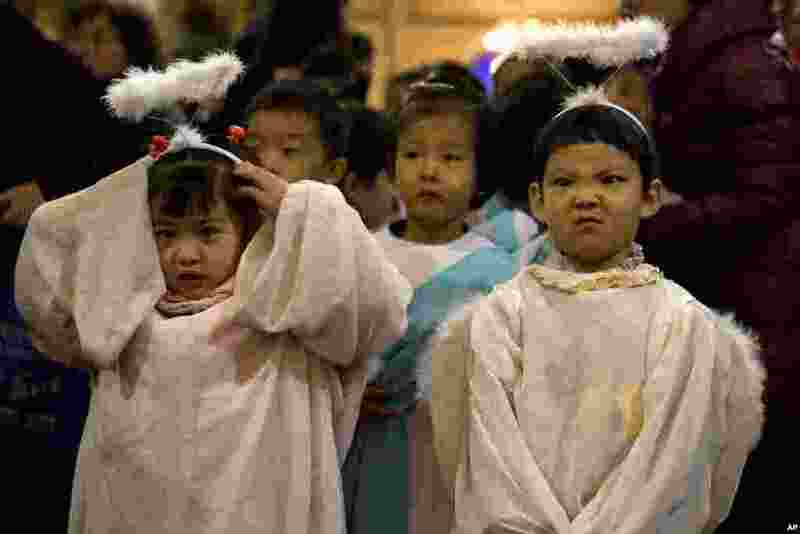 ١ Children dressed as angels take part in a Mass on the eve of Christmas at the South Cathedral official Catholic church in Beijing, China. 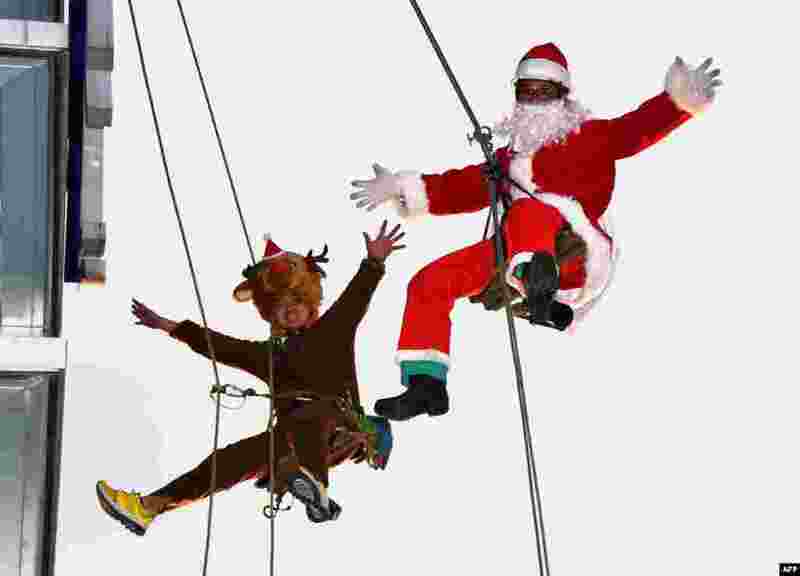 ٢ Workers in Santa Claus (R) and reindeer (L) costumes are pictured as they clean windows outside a shopping mall along Tokyo's waterfront, Japan. 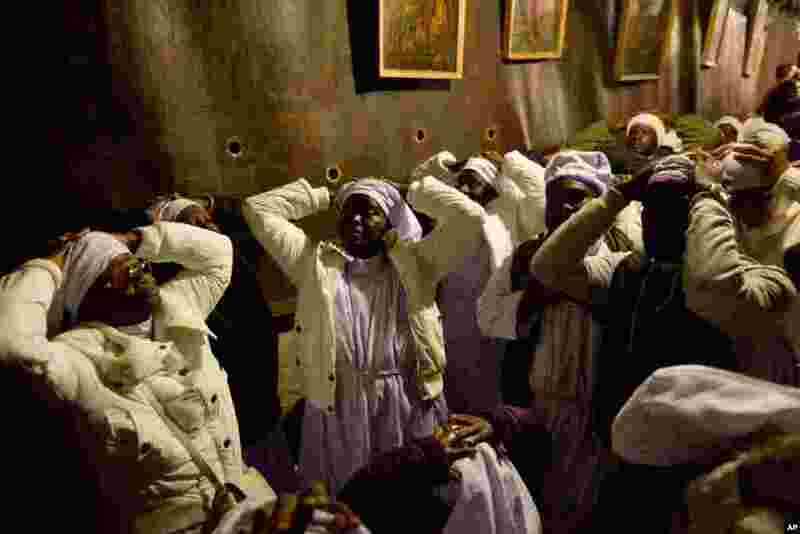 ٣ Christian pilgrims from Nigeria pray inside the Grotto of the Church of the Nativity, traditionally believed by Christians to be the birthplace of Jesus Christ, in the West Bank city of Bethlehem on Christmas Eve. ٤ General Manager Brandon Delaney looks up at the marquee sign after the announcement that the Plaza Theatre would be showing the movie "The Interview" beginning Christmas Day in Atlanta, Georgia. 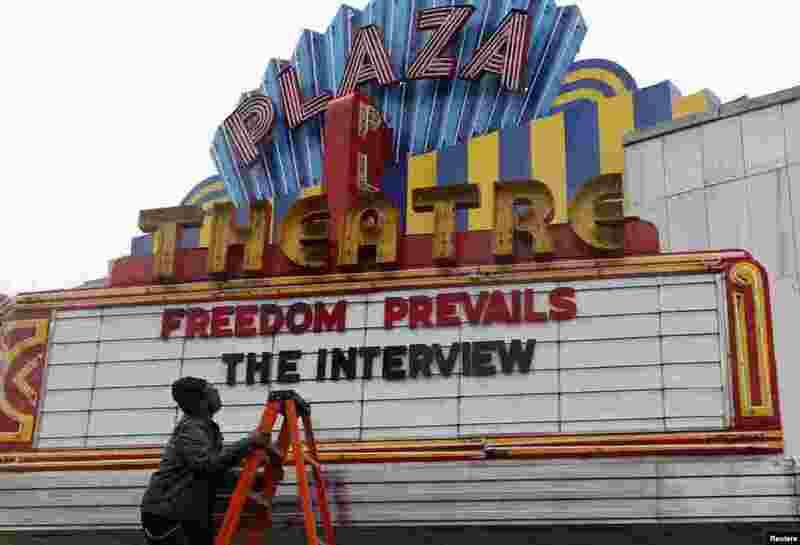 Sony Pictures said it will release "The Interview" to a limited number of theaters on Dec. 25, less than a week after it canceled the comedy's release following a devastating cyberattack blamed on North Korea.